Dr Geoff Barker trained in anesthesia in Australia, and moved to Toronto where he spent 30 years as a full-time Critical Care Physician at the Hospital for Sick Children. He was Chief of the department for 20 years, during which time the fellowship training program developed into perhaps the leading venue for training worldwide. He was the Director of the University of Toronto Critical Care Program for 5 years, and was a founding President of the World Federation of Pediatric Intensive & Critical Care Societies. 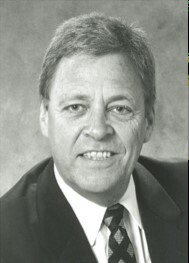 He received multiple professional honors during his career including a Life-time Achievement Award from the World Federation of Pediatric Intensive & Critical Care Societies, and honorary life memberships from the Canadian Critical Care Society and the Australian & New Zealand Intensive Care Society. An endowed research chair, the Geoffrey A Barker Chair in Pediatric Critical Care Medicine, at the Hospital for Sick Children and the University of Toronto, is named in his honor.